The writer and filmmaker attacks Preet Bharara for threatening to put him behind bars. 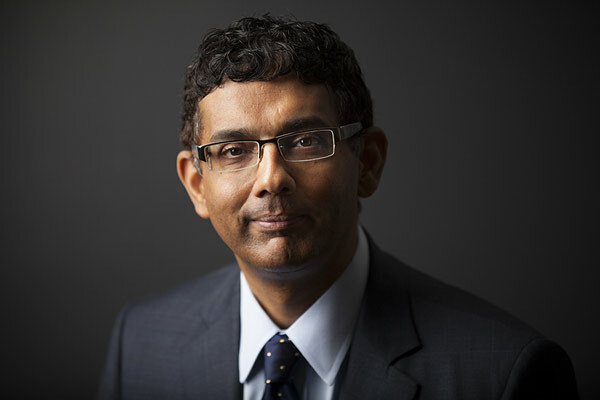 Conservative author and filmmaker Dinesh D’Souza, who was convicted for violating campaign finance laws, is all set to be pardoned by President Donald Trump. D’Souza pleaded guilty to violating federal campaign finance laws in 2014 after he was indicted for illegally using straw donors to contribute to the election campaign of Wendy Long during her run for New York as a Republican candidate. On Thursday, Trump announced through a tweet that he will use his clemency discretion to pardon D’Souza of all the charges. D’Souza was slapped with a $30,000 fine and five years of probation, including eight months of living under supervision in a confinement center. D’Souza had known Long ever since they met during the Dartmouth College days. He said that he was stupid and irresponsible in trying to get around the campaign limit. The Mumbai-born D’Souza wrote the 2010 bestseller “The Roots of Obama’s Rage” and co-directed “2016: Obama’s America,” a 2012 film that expressed concern about the country’s future if Obama were re-elected, which fetched him $33.4 million. It was followed by America: Imagine a World Without Her ($14.4 million) and Hillary’s America: The Secret History of the Democratic Party ($13.1 million). Most recently in 2017 D’Souza published The Big Lie: Exposing the Nazi Roots of the American Left, in an attempt to expose the façade of the Democratic party. “Obama & his stooges tried to extinguish my American dream & destroy my faith in America. Thank you @realDonaldTrump for fully restoring both,” D’Souza tweeted. “My heartfelt thanks to those who prayed for me, supported me & reached out on social media to President Trump to pardon me,” he added. He also attacked Indian American former States Attorney Preet Bharara for trying to put him behind bars. “Bharara & his goons bludgeoned me into the plea by threatening to add a second redundant charge carrying a prison term of FIVE YEARS,” he tweeted.